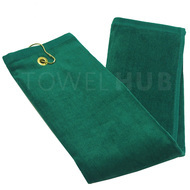 Description: Wholesale Hunter Green Grommeted Golf Towels with corner brass grommet & hook. Perfect for screen printing or custom embroidery. Sunlight resistant, and available in wholesale and bulk. 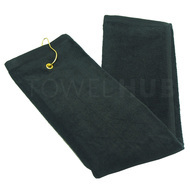 Description: Wholesale Black Tri Fold Golf Towels with brass grommet & hook. Perfect for screen printing or custom embroidery. Sunlight resistant, and available in wholesale and bulk. 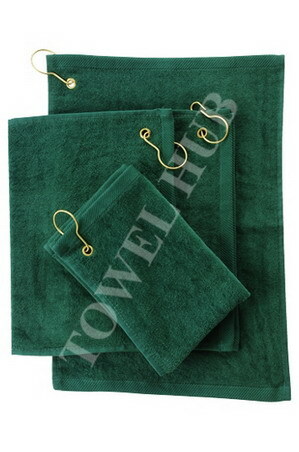 Description: Wholesale Hunter Green Tri Fold Golf Towels with brass grommet & hook. Perfect for screen printing or custom embroidery. Sunlight resistant, and available in wholesale and bulk. 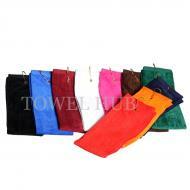 Description: Tri Fold Bulk Terry Velour Golf Towels. Come with a brass grommet and hook. Available in many colors. 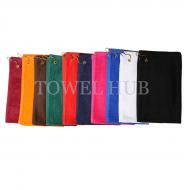 Excellent quality, supersoft and very durable. Can be Screen printed & Embroidered on too. Available at a great wholesale price! As low as $2 Ea.